You can enjoy yourself with solo rides on our track… but it’s even more fun when you’re racing with friends! 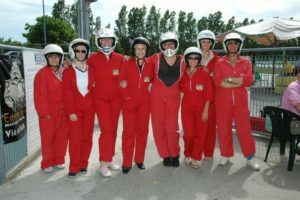 What’s certain is that that the adrenaline-packed thrills and competitive spirit will bring out the very best in you all, and you’ll be true drivers for a day!! And to finish off… a podium and sparkling wine! !